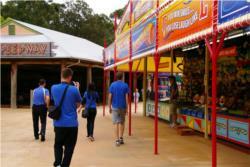 Vouchers MUST be printed off and presented to staff at the admission counter at Aussie World. If there is no printed voucher entry will not be permitted. Tickets will be emailed to your inbox immediately after purchase or you can download and print your voucher immediately after your payment is accepted. 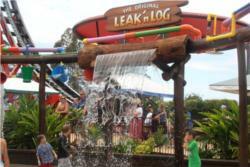 Wet your pants on the water ride called Plunge. An entertaining way to cool off on a hot Queensland day! 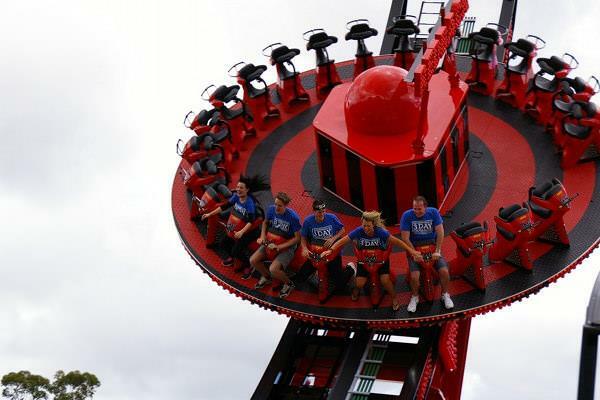 Hold on tight while you’re on the Sunshine Coast’s most thrilling ride – Redback! Featuring clockwise and anticlockwise circular rotations on a platform with outward facing seats. Collect a mat at the base of the Giant Slide then walk up to a lofty platform five stories high in the sky and slip and slide safely down. 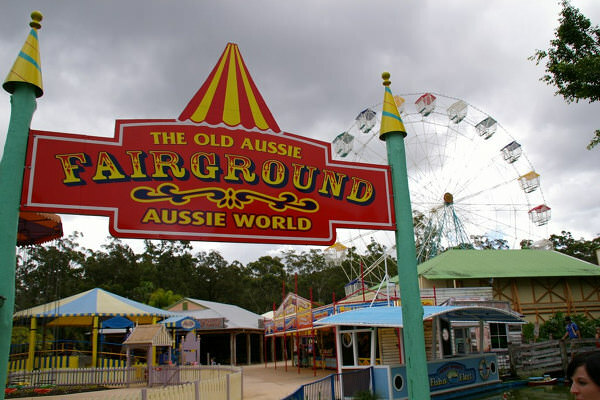 For the little kids there's the chance to get their 'L' Plates driving the Bizzy Biggies, fly like a plane on the old fashioned 'chair-o-plane', gallop around on the old style 1920's Carousel or board the Tykes Trolley Railway to ride their own self-driven 'Caboose'. 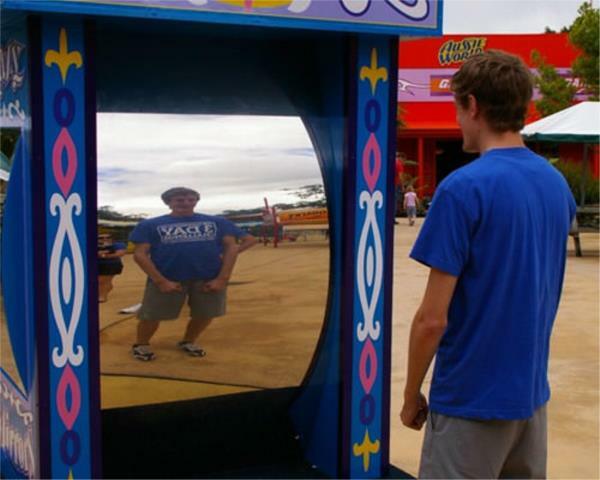 Older kids and the young at heart can scream around on the Mozzi Musta, try their hand at Platypus Ponds Mini Golf, go to the dark side on the Rock 'n' Roll Rebel Dark Ride or try virtual reality at its best with the Voyager Simulator. Ride the Wild Mouse Rollercoaster, originally built in 1935, fully restored and of wooden construction, this rollercoaster still provides as many thrills now as it did in the past. Try a fair dinkum meal at the iconic Ettamogah Pub and marvel at the collection of Australiana hanging on the walls. Aussie World also has a great gift store where the pleasure of browsing through some of the most unique gift lines on the Sunshine Coast can be found. Right next to the Ettamogah Pub is a selection of specialty shops that cater for the most discerning buyer and includes locally grown and Australian made products. 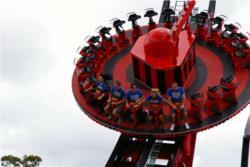 Aussie World is open daily from 9am to 5pm and rides start at 10am. Closed Christmas Day 25th December, open Anzac Day 25th April from 1.30pm. Anzac Day Twilight Night - no bookings required please present your voucher on arrival. Gates will open at 1.30pm until 8pm. Admission prices are per person (Adult over 18yrs), Child (2-17yrs inclusive), Concession (Seniors Card Australia and New Zealand required), Children under 2 years of age are free. Children 0-14yrs of age must be accompanied by someone older who is deemed mature enough to act in a supervisory capacity. 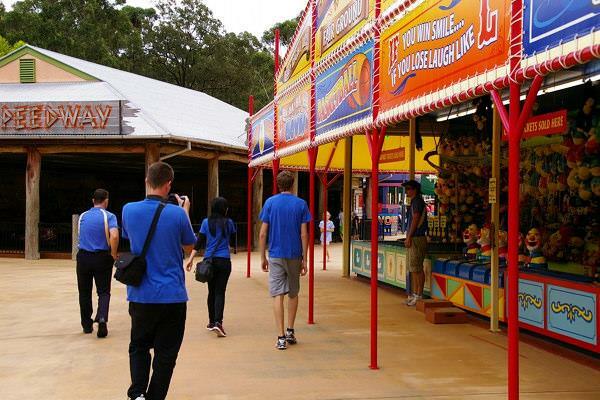 Height restrictions apply on most rides – see Aussie World for further information. Food, drink and eskies cannot be brought onto the premises. Water and special needs food allowed and there are picnic tables available outside the park. Appropriate clothing and footwear must be worn upon entry and at all times within the park. Aussie World specifically recommends that suitable enclosed footwear be worn.